I don't know where they got the idea to include "Premium" on the label, but it certainly has nothing to do with the quality. This is one of the many oil mixes that hit the market around 1998-2000. This looks like pure poison, and yes, the color is truly artificial. 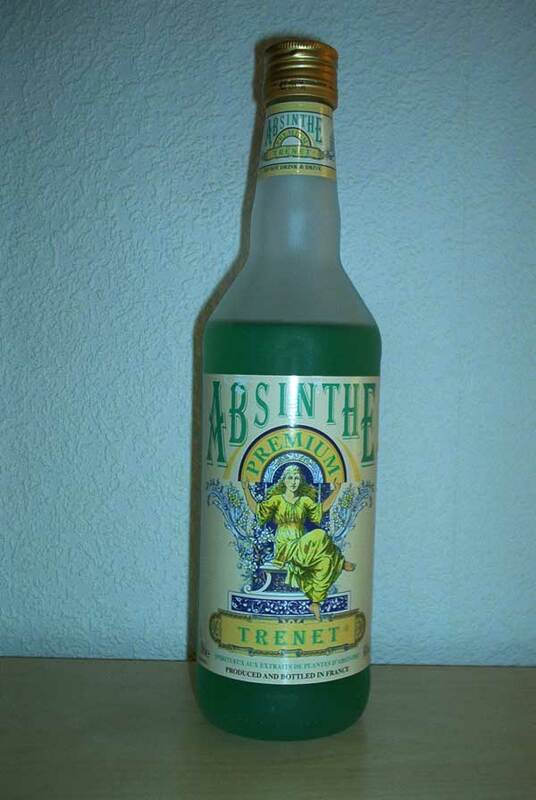 As I first took a sniff of this bottle, all I got was alcohol and a load of anise. But after pouring a glass, and tasting it neat, I could taste a slight bitterness and ofcourse, the quite dominant taste of star anise. But still, the alcohol was there. Upon adding cold water it gives a quite nice but overly green louche, and the taste improves a whole lot. It actually turns drinkable! This is not my favourite at all, but it's not the worst I've ever had. It's good for those late nights when your friends already had too many and won't taste anything anyway. Since it is completely artifical, taste, color, everything - I can't say I'd recommend it. Still, it was among the first brands I tried, and it didn't scare me away.